Still have yet to try out VR for your smartphone? Don’t worry, we got just the thing for you. 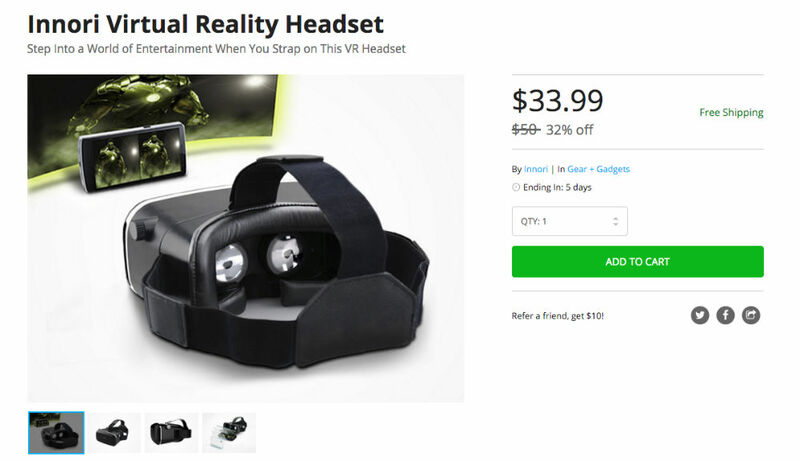 On the DL Deals Store, you can pick up an Innori Virtual Realty Headset for only $34, down from its usual price of $50. With the Innori VR headset, setting up your experience is made easy. All you need to do is lock your phone into the headset (any smartphone featuring a display size of 3.5″-5.7” is supported), adjust the straps for a comfortable fit on your head, make sure the lens is adjusted for proper viewing, and then enjoy the ride. You can enjoy all of the great VR content already made available from Google and YouTube, or download plenty of other things to do straight from the web. And for only $34, this will certainly beat out that $5 piece of cardboard you might be using.